Tonita Nampeyo is a daughter of Fannie Nampeyo and a granddaughter of Nampeyo of Hano. 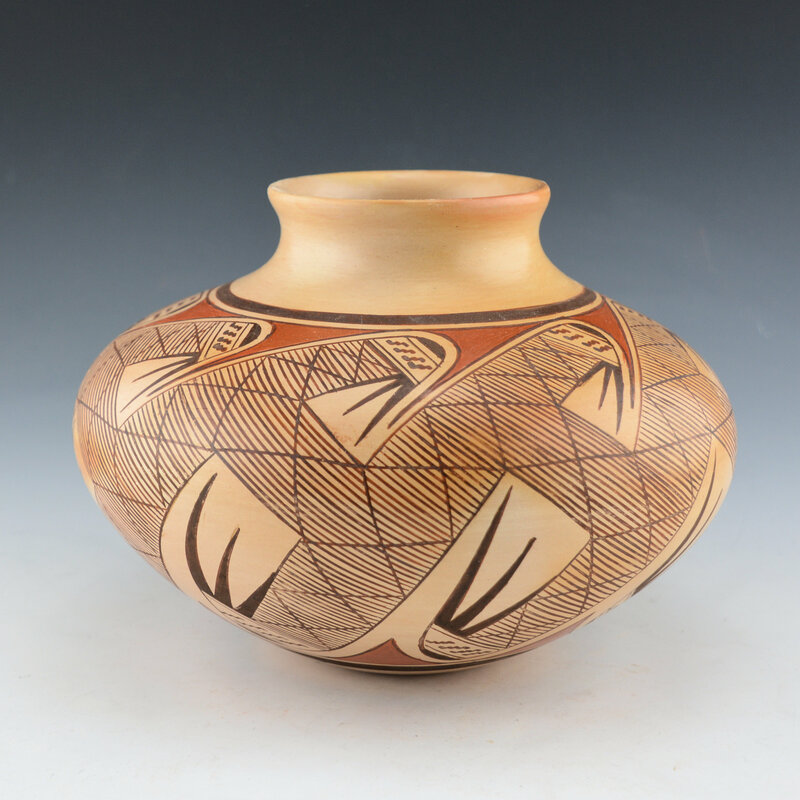 She is known for her traditional pottery using natural clay slips and bee-weed for the black. This large jar is an elegant shape with a low shoulder and a slightly turned out rim. 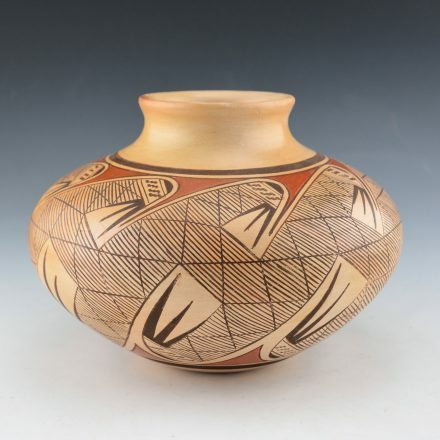 The design on the jar called the “Migration pattern” and it is one that was revived by Nampeyo of Hano in the late 1800’s from ancient Sikyatki pottery. The design is meant to tell the story of the migration of people from the third to the fourth world in Hopi legends as well as the migration of people around the world. This jar is delicately painted and note the exceptional thin lines! It is traditionally fired for the amazing color. It is in excellent condition with no chips, cracks, restoration or repair. It is signed on the bottom.